Lazlo faces an unthinkable choice - save the woman he loves, or everyone else? - while Sarai feels more helpless than ever. But is she? 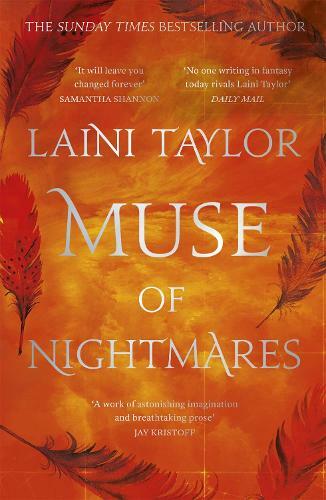 As humans and godspawn reel in the aftermath of the citadel's near fall and a new foe shatters their fragile hopes, the Muse of Nightmares must take possession her power - and of her fate, and everyone else's. Love and hate, revenge and redemption, destruction and salvation all clash in this gorgeous sequel to the international bestseller, Strange the Dreamer. We are welcomed back to the magical world of Lazlo and Sarai ; full of monsters, God’s, goddesses, romance, legends and mysteries. We were left with a cliffhanger at the end of “ Strange the Dreamer “. This is book 2 in the Stranger the Dreamer duo.